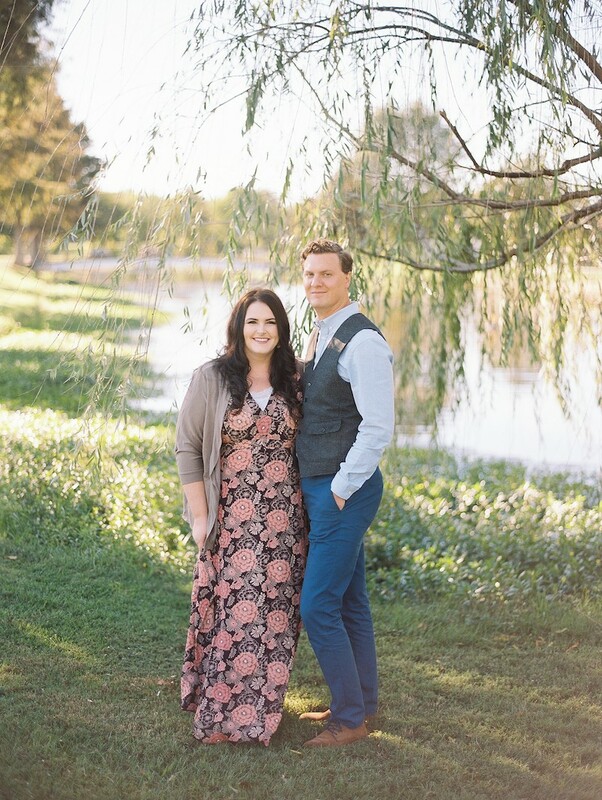 We chatted with husband-and-wife duo Erin and Josh Wilson about their exciting new business and what it's like to work together! 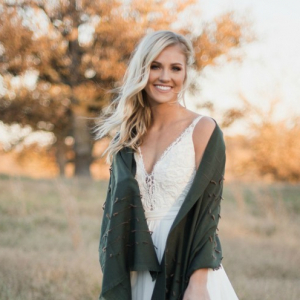 In 2018, Erin Wilson of Erin Wilson Photography announced a big addition to her business — videography! And what's even cooler? Her husband Josh is now her business partner handling the cinematography side of things, while Erin continues to focus on her beautiful photography. 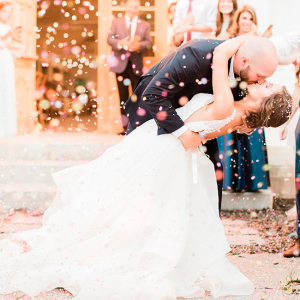 The newly renamed Erin Wilson Photography & Cinematography is now your one-stop-shop for documenting your big day and the moments leading up to it. 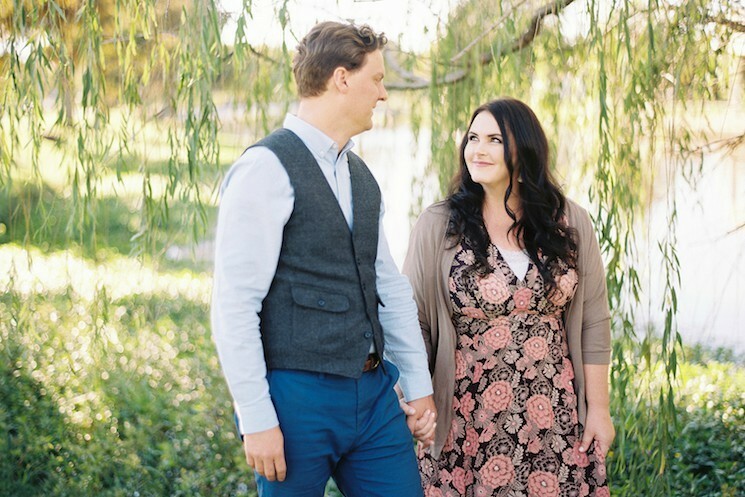 We chatted with Erin and Josh about this exciting news and what it's like to work together! Read on for some adorable insight into this power couple's new business. When did you two decide you wanted to go into business together? Erin: I've always wanted Josh to join me, but he had a career he was deep in and that wasn't anything on his radar. Fast forward to this summer he was changing careers and wasn't sure what he wanted to do. In the midst of all the changes, he started helping me and fell in love and saw that he could have his own portion of the business that was all his and work alongside me. It was a perfect match and completely unexpected! I always thought he'd be a photographer alongside me but him filming weddings for our couples makes much better sense. Josh, has videography always been a passion of yours or was it something you discovered later in life? Josh: I've always loved storytelling and videography is all about telling stories. I would have loved to have been a Hollywood director but I guess that didn't work out. I made a couple of terrible videos when YouTube first came out but I never really had the equipment to be serious about it. In college, some friends and I entered a couple of film festivals. I was also involved with making videos in the early part of my previous career, and now it feels good to go full time with something I've always had a hankering for. Erin: It's really fun! We've been married almost 13 years and we're best friends so we honestly laugh a lot. We get excited about new ideas and bounce ideas off of each other. We have so many big ideas and plans for the future I cannot wait. Since we've been married for a while I wouldn't specifically say there was something I didn't know about Josh but more that I appreciate even more how organized, inventive and vision-minded he is. Josh: I always knew that Erin was a top-notch boss lady, but seeing it up close and every day is really inspiring. 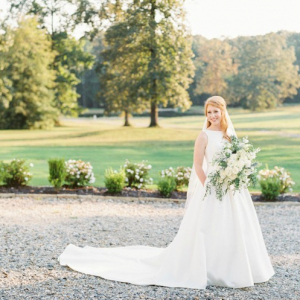 What does the new videography component mean for Erin Wilson Photography? Erin: It means that not only can couples expect and receive gorgeous wedding photos and moments immortalized through images but they can now have the video version as well. It means that couples are hiring a couple that understands love, relationships, how important these fleeting moments are and how much we appreciate looking back at our own wedding photos and see where it all started. We know how to work so well around each other that I know what he needs for his films and he knows what angles are best for me for photography. It's becoming a well-oiled team! Josh: I think it means that brides can have peace of mind knowing that two key components of the day are going to be taken care of. It's a big job to plan and organize a wedding with a lot of moving parts. 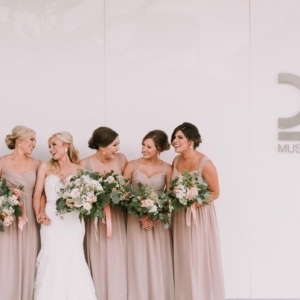 Having two vendors combined that can work together and around each other in lockstep is really big for brides. Why do you think videography is such an awesome new(ish) component for weddings in 2018 and beyond? Erin: We obviously know photos are so important. What we love now about a video is we can watch the hugs and tears and love unfold in motion in front of us and watch it over and over again. When you miss someone or you want to see their laugh, you want to watch that in a video. I think photography and video are equally as important these days. What a legacy we have to leave for our future families and children and what a way to look back on the day that a husband and wife started a brand new adventure together. Josh: Videography or filmmaking maybe isn't something people think of as part of the so-called traditional wedding, and it used to be a lot harder to get a quality video from the day because manually editing video was so expensive and time-consuming. But digital editing has really opened up a lot of possibilities and I think in 20 years people will be really glad to look back and experience not just the photos but also the video of their big day. What’s a behind-the-scenes thing that people would be surprised to hear about videography? Josh: It may not be surprising but there are so many batteries. The cameras and the steady cam and the lights and the audio equipment all have batteries and you always have to have lots of backups because the risk is too high if you run out of batteries you can't put a wedding on pause to charge some up. There so many working parts with equipment and different camera angles. What are the different videography packages you all offer brides-to-be? Erin: Right now we are offering three packages to help find the right fit for our couples. We begin with a simple highlight video of the day, then a longer highlight video with full ceremony coverage and then a large wedding film and full ceremony coverage. We hope brides and grooms will book us together so we keep the hourly coverage the same and if some choose to book Josh alone it's all up to 8 hours of coverage but they are welcome to add on more hours. 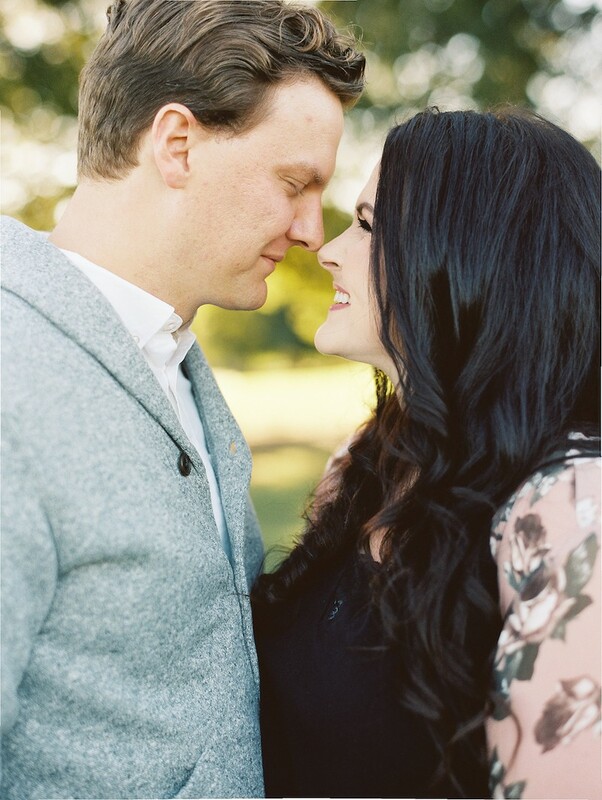 What are you two most looking forward to with Erin Wilson Photography & Cinematography? Erin: We absolutely love working together. I love that it makes it easier and less stressful to brides to only have to deal with one vendor versus two vendors and knowing we're together, in one place, working as a team for them. It's given our lives even more meaning and we love knowing we're given the blessing to be a part of such a huge day in so many couple's lives. Josh: I just love spending every day with my best friend. We work well around each other, I know where she's going to stand and the directions she's going to give. I know I can go in and get what I need when she changes a roll of film. We just flow together really well and always want to work together as a team providing each couple with the best we can give. 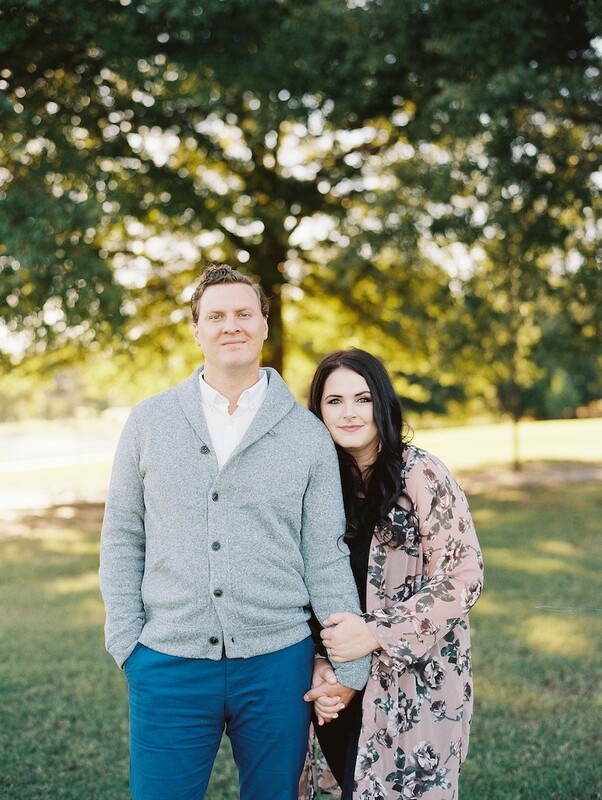 For more about Erin and Josh and their videography offerings, head to their website here.